It's hard to believe that Stephen Petronio founded his company 32 years ago. While he has always sought out collaborations with trending artists and designers, his movement invention has eluded any timestamp. It no doubt helped that many of the previous generation's choreographers themselves innovated new languages and concepts—many of whom are acknowledged in Petronio's Bloodlines project. Petronio absorbed influences from these predecessors, rather than utilizing a codified language such as ballet or jazz as exemplified in Alvin Ailey's work. Stephen Petronio Company embarks on the second installment of Bloodlines from March 8—13 at the Joyce Theater. 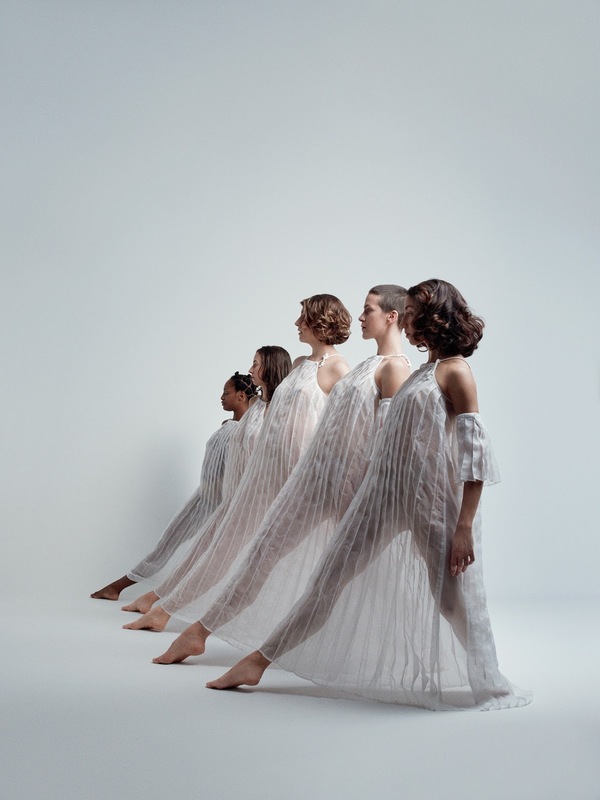 Of the several "heritage projects" underway in the world of modern dance, including variants from Martha Graham and Paul Taylor, Bloodlines is the most integrated and logical. It's perhaps because Petronio is honoring work by those he has considered mentors or influences on his own, rather than the other way around. This year, his company will dance Glacial Decoy (1979) by Trisha Brown, with whom he danced from 1979—1986 before forming his own troupe. With sets and costumes by Robert Rauschenberg, it is one of the landmark works of Brown's considerable choreographic output, and is danced by a female cast. Since Petronio's own movement was influenced by his work with Brown, it will be fascinating to see the keen combined muscular knowledge of the dancers. From Petronio's repertory, Middlesex Gorge (1990) will be performed 25 years after it premiered. To music by Wire, with costumes by H. Petal, this dance, with movement both urgent and highly collaborative, takes impetus from the choreographer's late 1980s involvement in ACT UP. This highly effective organization formed to draw attention to AIDS, the pandemic that devastated, in particular, the arts community. Petronio's new work this season is Big Daddy (Deluxe), based on thoughts about his father from his recent memoir, Confessions of a Motion Addict. The dance began as a solo which debuted at the American Dance Festival in 2014, and here is expanded to a group dance, to music by Son Lux, with costumes by H. Petal, and lighting by Petronio's longtime collaborator, Ken Tabachnik. The dance offers a new personal note on a smart program balanced with movement heritage and company history.